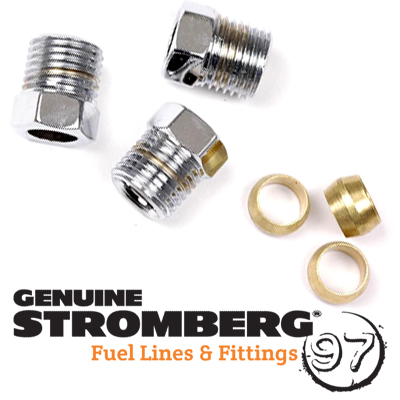 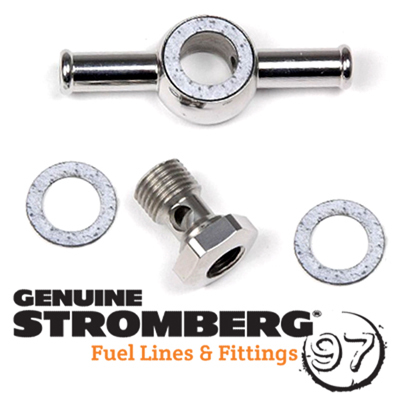 Ford Nut style compression fittings for 5/16in line – in chrome! 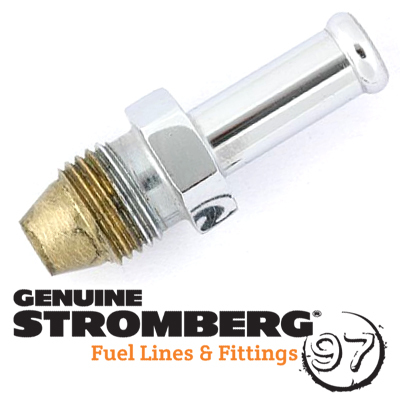 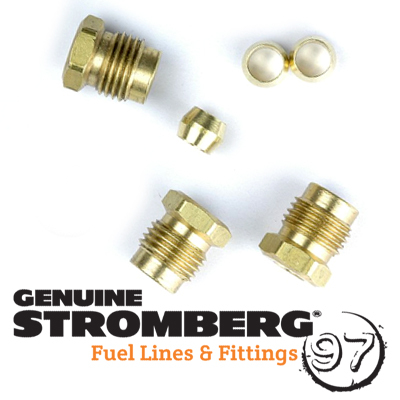 Has the correct 1/2in x 20 UNF thread for Stromberg S-jet inlet valves, but must ONLY be used with Stromberg 9564K-BIG versions, as standard in all Stromberg BIG 97 carburetors, and available separately. 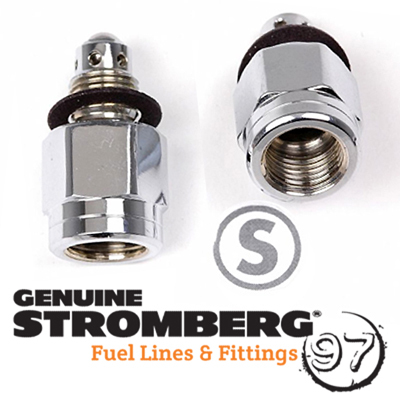 Regular 97 inlet valves (9564K) take 1/4in hard line.